Don’t let your payments increase. 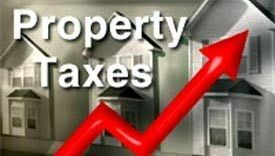 It is Time to appeal your property tax. Why is County tax-assessed value different than market value? The tax-assessed value is what your county believes your home or condo is worth. The county attempts to set their values at market value. However, they do not evaluate comparables nor do they perform individual market analysis on every home. The county simply values your home according to the area, not the house. Meaning, the value may be too high or too low, depending on the size, location, amenities, and condition of your speciﬁc home. When should I receive my CAD property valuation/assessment and how long do I have to appeal? The current year's notices of appraised value are typically mailed out mid-April of each year. You will have 30 days to appeal. Should I appeal my County property valuation? f the market value on your home is lower than your tax-assessed value, then you should appeal. If the market value is higher, do nothing. How do you determine your market value?